It looks like you don't have flash player installed. You might want to get that if you plan to use the Flash gallery. Click here to go to Macromedia download page. Sally Falkow has successfully been building brand strategies for companies and individuals for over twenty years. Since 1999 she has translated her communication and PR skills to the Internet and is now considered to be an expert in social media: social intelligence, blogs, news feeds and content strategy. 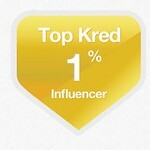 January 2013: Named a Top 1% Influencer by KRED, the social media influence scoring tool. December 2009: PR Trainer of the Year at the PR News PR People Awards for her Social Media Bootcamp classes. She has trained over 300 agency and corporate PR executives in social media strategy and implementation . Raised in South Africa, Sally had the benefit of a British education. She studied Public Relations and Communication at the University of South Africa and lectured in PR and Communication Theory at the university level for five years. She also taught Consumer and Buyer Behavior and Marketing for the Oxford-Brookes University (UK) Commerce Degree program. Sally holds the Accreditation in Public Relations (APR) which is recognized by the Public Relations Society of America and she is a Senior Fellow and Advisory Board Member of the Society for New Communications Research. She is a member of the Social Media Club and launched this initiative in the Los Angeles area. The Social Media Club is active in promoting new media education and standards – such as the format for the social media press release. © Copyright 2019 Meritus Media. All Rights Reserved.